Pioneers in the industry, we offer t24 plain grid system, t15 plain grid system, t15 silhouette grooved grid system and t15 ceiling grid from India. T24 Plain Grid System is sleek aesthetically pleasing, with an exposed T-Grid. Supported by a team of adroit and decimated professionals, we are providing high-quality Ceiling Suspension System. 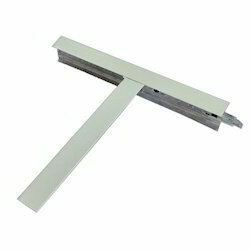 The Ceiling Suspension Systems have demountable design and are capable of installing any tiles of size. Our suspension system is improved, eco-friendly, easy to install suspension systems feature corrosion resistance for interior environments. 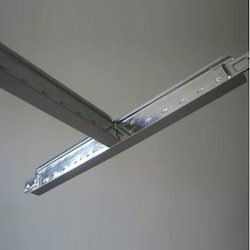 We are engaged in offering Ceiling Suspension System that is uniquely designed according to the industry standard of compatibility. These systems are valued by the clients for acoustical tile, light fixtures, air diffusers, seismic and fire-resistive designs. This T15 Plain Grid System is sleek aesthetically pleasing, with an exposed T-Grid. We are counted amongst the eminent names in the industry for manufacturing, supplying and exporting a vast array of T15 Silhouette Grooved Grid System.It has been now replaced entirely by modular T-Grid pre-painted hot dip galvanized anti-rusting galvanized steel system developed as a snap fitting system which made it popular worldwide over the conventional system due to the following advantages economical fast easy to install due to snap fitting qualities, design flexibility, and can be dismantled and reused easily. 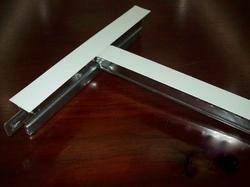 We are offering T15 Ceiling Grid to our clients. 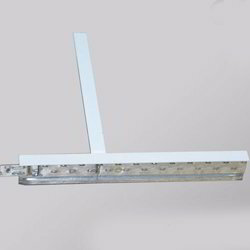 Looking for “Ceiling Suspension System”?